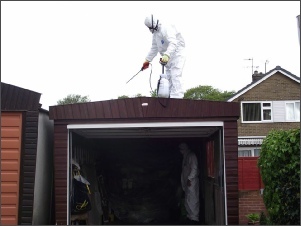 Asbestos Garage Roof Removal Halifax. Asbestos Garage roofs can be dangerous ! Does your garage roof contain Asbestos ? 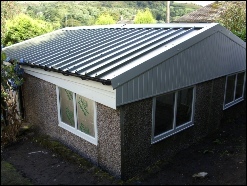 Many garage roofs are made from materials which contain Asbestos and need to be urgently removed and replaced. 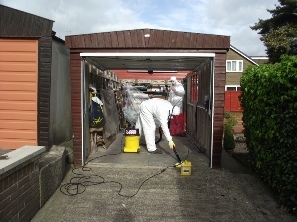 We have years of experience in asbestos garage roof removal in the Halifax area and our Special ist Asbestos garage roof removal teams will handle the whole procedure from start to finish. Provide and analysis of the content of the roof. The end result will mean that your roof will not only look better and last longer but also that it will be free from hazardous materials. Don’t take any risks ! 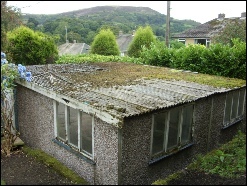 If you feel that your garage roof could contain asbestos call our West Yorkshire Area Asbestos Garage Roof Inspection Team for a no obligation assessment.  Decontamination - Site is damped down and Category H (Hazardous Waste) vacuum is used to decontaminate site. 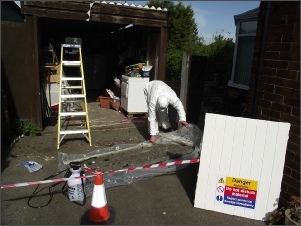 Removal - Asbestos is removed and enclosed in plastic.